Announcement of the 10 Points Action Plan at International Green Week, Berlin, January 23, 2019. (L-R) Wolf Kropp-Büttner, GISCO board chair, Julia Klöckner, German Federal Minister of Food and Agriculture, Gerd Müller German Federal Minister of Economic Cooperation and Development. Photo by GISCO. 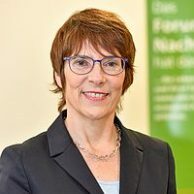 The German Federal Minister for Food and Agriculture, Julia Klöckner, and the German Federal Minister for Economic Cooperation and Development, Gerd Müller, presented a common 10 Points Action Plan for a Sustainable Cocoa Sector on January 23, 2019 at the International Green Week in Berlin. As members of the German Initiative on Sustainable Cocoa (GISCO), both ministries are engaged in a joint strategy for a sustainable cocoa sector for all German actors. Wolf Kropp-Büttner, GISCO board chair, acknowledged the commitment. He said the 10 points named in the ministries’ plan would widely cover the objectives GISCO is committed to. 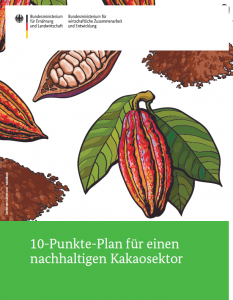 The action plan underlines the efforts of the German government and gives more details to the ambition for 100 per cent sustainably sourced cocoa in chocolate and chocolate products sold in Germany in the long-term. As a member of the Sustainable Cocoa Forum, we support a joint strategy of all German stakeholders for a more sustainable cocoa sector. 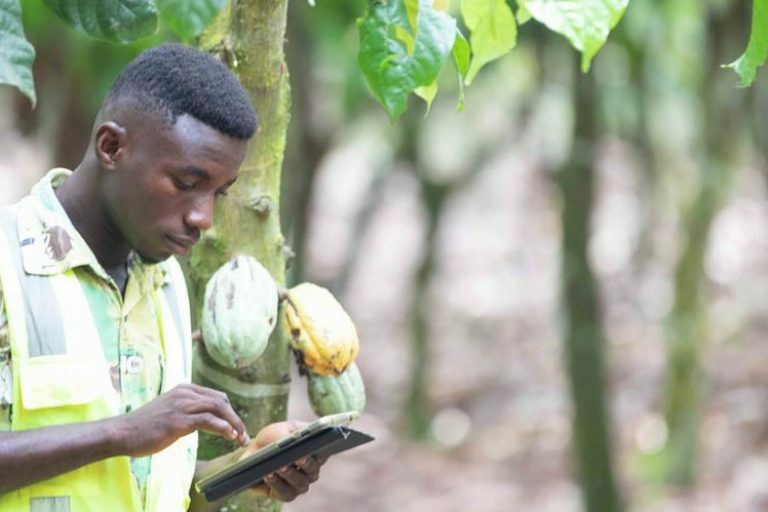 We believe that the complex challenges in the cocoa sector can only be addressed within the framework of a multi-stakeholder initiative, such as the Sustainable Cocoa Forum. We expressly support joint projects of the Sustainable Cocoa Forum, such as the Pro-Planteurs project. We are in favor of an ambitious increase in the share of cocoa from certified or independently verified cultivation in Germany. We welcome the Sustainable Cocoa Forum’s goal that at least 70 percent of the cocoa in the cocoa-containing end products sold in Germany by the cocoa-producing members of the Sustainable Cocoa Forum should originate from certified or independently verified cultivation by 2020. In the long term, it is planned that 100 percent of the cocoa in cocoa-containing end products sold in Germany shall originate from certified cultivation. We aim to establish binding regulations setting a uniform standard for sustainably produced cocoa. Standards may be set on a voluntary or legislative basis. We are committed to establishing a uniform standard for the sustainable cultivation of cocoa at European level. We promote initiatives that increase the effectiveness of standard systems. We support standard-setting organizations in evaluating and further developing their standard systems for a sustainable cocoa sector. We inform consumers in Germany about the sustainable cultivation of cocoa. We use consumer information and at technical events to inform German consumers about sustainable consumption and about the working, production and supply conditions in the cocoa sector, with the aim to raise their sustainability awareness. We provide information on different certification and independent verification approaches for cocoa cultivation and their identification on cocoa-containing end products. 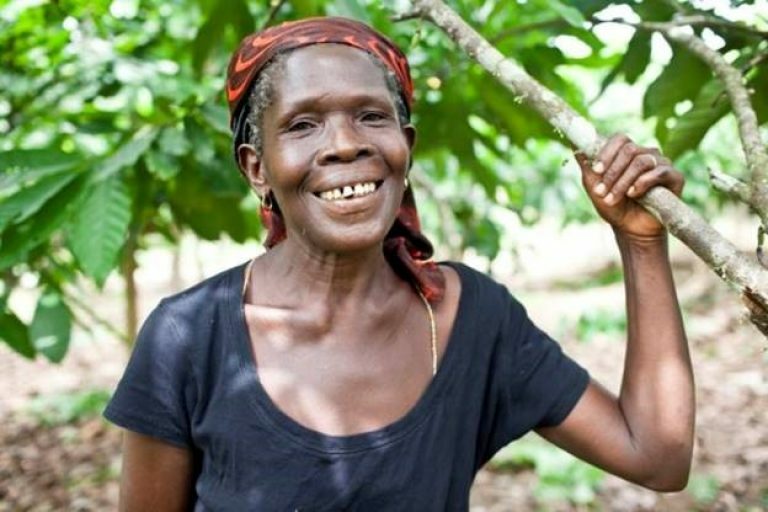 We advocate prospects for cocoa farmers to live a life free from poverty. Only if cocoa farmers do not live in poverty will a sustainable cocoa sector be achieved. We support projects aimed at increasing the income of cocoa farmers. This can be done through different approaches, e.g. 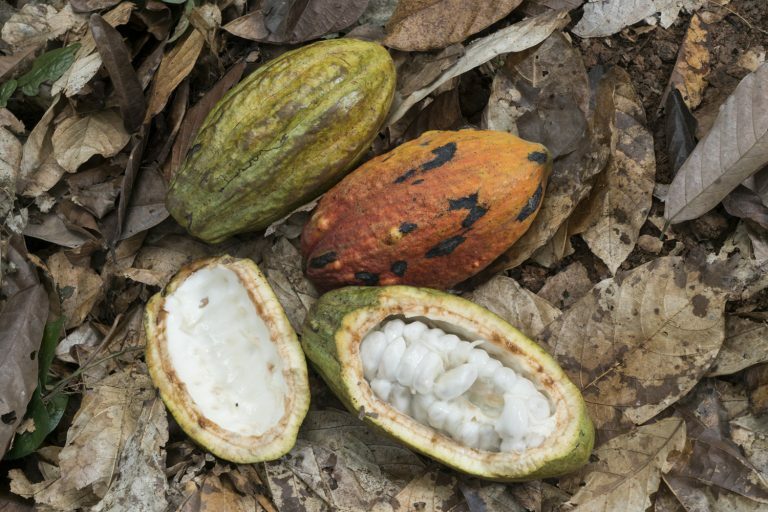 fair prices for the sold cocoa, a sustainable increase in earnings for cocoa, the diversification of holdings and the creation of further alternative sources of income. We are committed to protecting and conserving forests in the cocoa sector. Cocoa farming must no longer result in illegal deforestation or the destruction of primary forests. To this end, we are committed primarily to projects in the producer countries and at European level. We support initiatives such as the Cocoa and Forest Initiative for deforestation-free supply chains, thereby contributing to climate change mitigation. We campaign against abusive child labor and for strengthening the role of women in cocoa cultivation. Abusive child labor and gender inequality are still major challenges in the cocoa sector. Within the scope of projects, international processes and political dialogue with the producer countries, we support cocoa cultivation without abusive child labor and a stronger role of women in the cocoa sector. We assist the governments of producer countries in their efforts to establish or further develop a sustainable cocoa sector. In the context of projects and political dialogue with the producer countries we support the consolidation of producer organizations, the diversification of cultivation and diets, knowledge transfer and the development of a local processing industry. We help small-scale farmers to obtain access to funds for long-term investments and to risk insurance schemes, for instance against the impacts of climate change. We promote cross-sectoral dialogue and cooperation of transboundary initiatives in the cocoa sector. By actively participating in the relevant international formats such as the Amsterdam Group and by networking initiatives from different sectors, we create a basis for the transfer of knowledge and experience and for consultation on international processes. Through the Sustainable Cocoa Forum, we promote cooperation with other sectoral initiatives at international level (e.g. CH, NL) with the objective of establishing an exchange of knowledge and drawing up joint solutions for crosscutting issues.